Businesses online don't too much differ from the ones offline. They need constant seasoning and might dryoff like the ones offline. Many do see online businesses as one inwhich money is being made in a rush - and plenty of it in so short an interval. However people do make much money quickly on the internet but not in a short amount of time. If an online income is made in a short period of time, the income isn't consistent. If you are a regular internet surfer, you might have heard of new 'make money quick platforms' sprouting almost everyday - people do make money they, sadly thats not the type of online money making i'm going to relate today. One of the online platforms that promises huge money-making potentials is nnu. ng and wakanda. ng. They market the platform by rewarding members who gathers contents into the internet site. It's interesting when viewing from a guest view as users are accrued 'some money' for these activities. Members, on request of payout are given only a fraction of it depicting a failed online endeavours to the numerous members. A good or genuine online business possesses certain distinctive traits of which are typically easy to notice. These businesses has it's demands like the ones offline and since they are all businesses, they possess similarities. Read on to see the steps in starting a successful online business. Many have always asked questions like how can an online business be setup? What is necessary for making an online business stand out? These are few of the question readers would most likely want to know. Businesses are made to fill gaps. In the process of filling these gaps, they come out to be recognised as brands. Many do go into online business with the mentality of making their desired income quickly. It's always important to recognise and honour rules, your first mindset when venturing into online business making should be filling of gaps. To kick-start effectively a business on the internet and even keeping it up demands you profering solutions to certain questions. There are things people desire that aren't still satisfied which in turn needs a good online enterpreneur to fill. As a tipoff, to better know where the questions waiting for you to build into business(s), be frequent in forums, social media groups or any interactives places. Ask questions and make researches, research on alternative to formally-made researches. Good enough checkout possible competitors portals and note the gaps they are filling on the internet. Double check on your plans. E-commerce site Jiji knew the business that abound in creating an easily assessed portal online for buying and selling of goods; it just started by formulating a question. Try finding answers to your listed questions that you asked. It would be better you trim your ideas into one so that you get a single solution to perhaps multiple questions. For example, you are really good at tailoring and want to put the biz through online. Your questions/ideas should allign to tailoring and clothes. The solution should be simply spreading your trade online. Others like a writer who wishes to take his trade electronically have more than just making his/her brand known online to do. He/She has to go directly into budding a writting/blogging business. This would demand alot but so do any business one aims to start online. 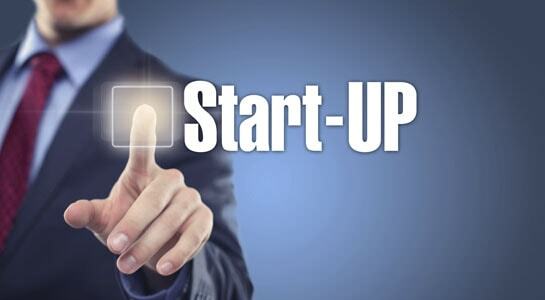 This brings us to the next step in online business starting - Making a platform. This is where the biz really begin to take shape. This is when you should be fully aware of competitions - they shouldn't scare you, let alone cause you to waver. Be ready to beat of stiff competitions by putting up a stiff platform. One of the most effective and necessary platform an online enterpreneur should have is a blog/website. This should be your home on the internet and good a home should it be. For one who aims to venture into writting online, creating a blog should be your first step here. There are various tools online which you can use in creating a nice looking 'home' on the internet. Google's own Blogger does a nice job at no monthly cost. You can otherwise opt for a hosting plan which costs depending on what you really want to create. Hosting is like a room in an estate which you rent. The estate here symbolically represents the hosting company; they make sure your online data are stored in safely to be retrieved whenever it's needed. You also need to purchase a domain, this is something like the URL: xtremeloaded.com . The domain name should portray your business identity. Design of the site follows purchase of domain and hosting. To start everything pertaining to design on making of site, consult with a trusted webmaster to help you with it. The power of social media in today's world is unquestionable. People especially youths spends much of their time on the internet for purposes like fun, messaging, discussion or even for merely being social. Entrepreneurs haven't as well missed the chances of utilizing these fun-based platforms. Various popular social medias like Twitter, Whatsapp, Facebook, Instagram, Snapchat, Wechat and others are examples of one you can sign up to. You don't have to utilize all platforms. Build your brand on ones that seem proper. Instagram and snapchat are effective social media platforms for video sharing and good for brands that deals more on visuals. On the otherhand, Facebook, twitter and the likes are highly effective for brands that do more of publishing. These highlighted social media platforms are free to signup. To increase sales, be sure to put up compelling contents. Let your contents solve the questions of readers. Ask question to build up interaction. If there is going to be any way you are to make you money online, it's just by the solutions you give. Consistency in this builds you a brand strenghtened by trust. When powering your social media handles, make your contents smart, short, genuine and attractive. Make sure they always keep sending out details of your business. Make sure your contents bring yourself to your fans as well. An important way you should follow is by always sharing testimonial made by your clients. This would build trust of which in the long run you will know it's importance. Sharing these genuine reviews lifts the uneasiness of people going into business with you. In any online business, getting the traffic is what outline the business. Online business like it's offline counterpart are normally weighed by the number of people accessing it. To get people to notice you business demands uniqueness. People love access things they don't normally see elsewhere. So, trust becomes the first advertising measure you should take. Getting people to trust your business is another step. You can promote your biz to your friends and family on social media. Paid adverts could be initiated but with care. You can readup on ways to promote businesses online. 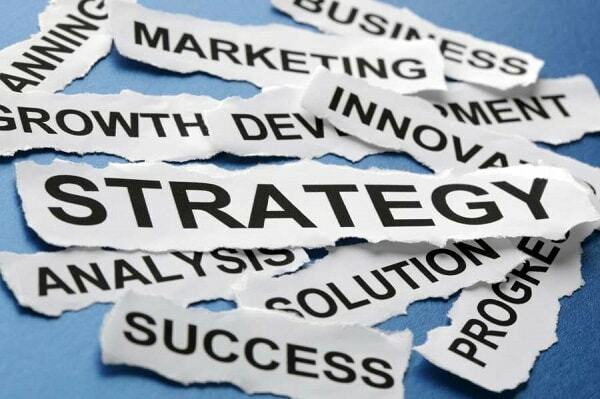 Before starting and online biz, you should have had strategies to monetize you services/products. This is important as at the tail end, a successful business is known by the profits it brings. Make researches of how your competitors really monetize their online business and be better off than them. With these steps, you should be a step ahead in starting an effective online business. As i always say, let 2019 be your year! Start it a better person!